I received some lovely items to review from Born Pretty Store the other week and I'm excited to be able to share the first of them with you today. I don't have many stamping plates currently so I was really excited when I was able to get this one sent to me. When I saw the selection of skulls and bows on this plate I thought: we all like to look nice from time to time, so why should skulls be any different! Let's put them together! 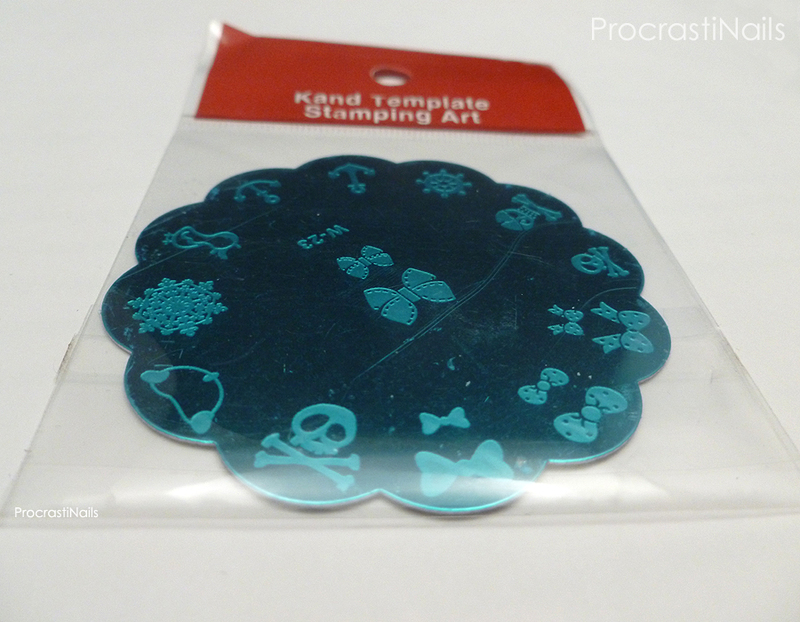 The item I used for today's post was a stamping plate with various designs on it (skulls, bows, a snowflake, anchors, etc.) and I was a bit worried about the quality at first... My only experience with stamping plates so far is with fairly well-known brands (Konad, Cheeky) so I was worried that this fairly cheap plate either wouldn't be etched deep enough or would get really scraped up when I used it, or something equally terrible. And then I tried it and amazingly all of my fears were unfounded! This is an awesome plate! 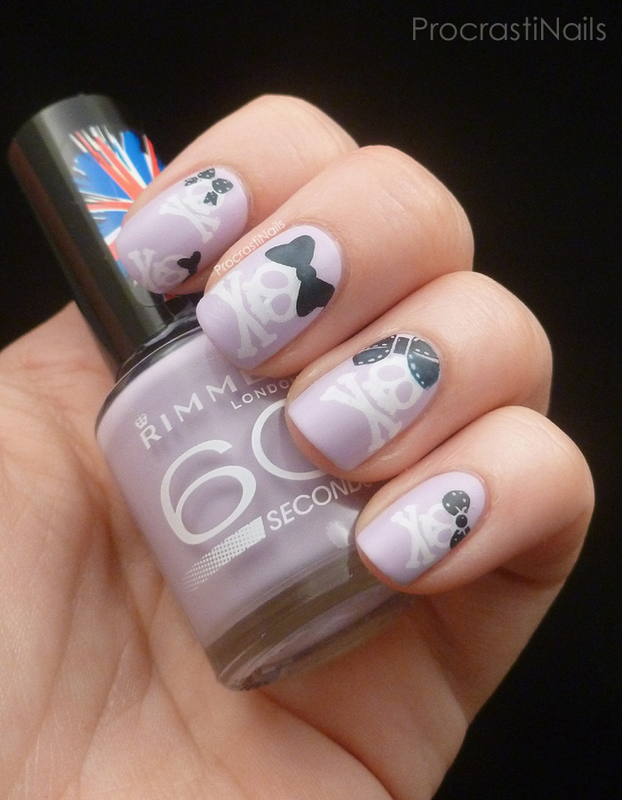 The mani itself started with a base of Rimmel London 60 Seconds I Lilac You which I then stamped over with Konad Stamping Polish in White and Dark Blue. When it was dry I covered with a single coat of NYC Matte Me Crazy Mattifying Top Coat. 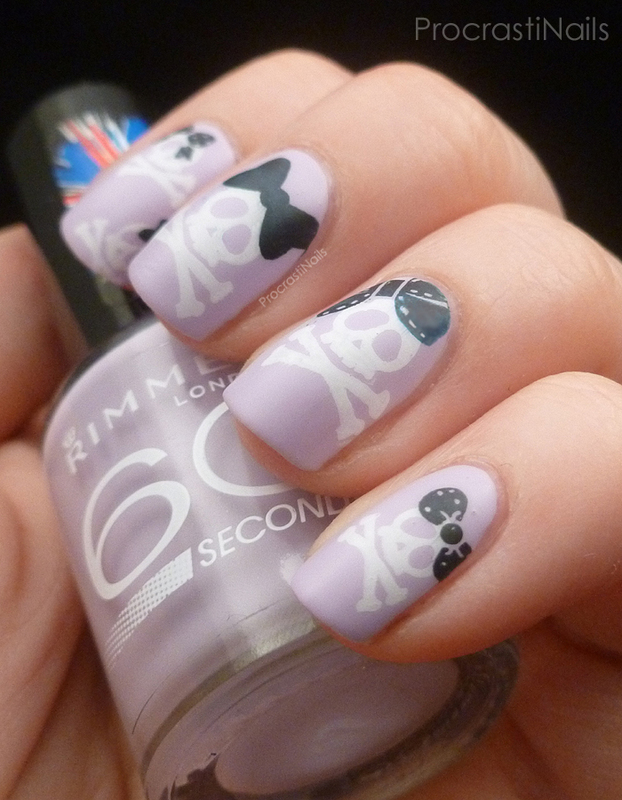 I used both the small and large skull & crossbones stamps, and used at selection of the bows available on the plate. The only tricky bow was the one on my pointer finger, and that's just because there's so much space for the polish to fill that it's easy to accidentally scrape too much polish off/out when you're prepping. 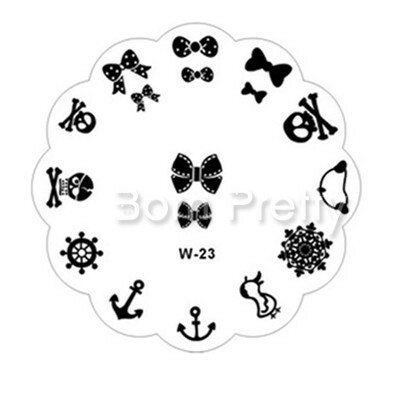 I am super happy with this item, and I'm looking forward to using the anchor and wheel stamps in the summer for a nautical mani. I'm also looking forward to trying out the other products that have been sent to me for review, so keep and eye out over the next week for those! If you liked the item provided for this post you should also check out all the other awesome and affordable nail art items that are available in the store. They have new items arriving all the time. Since they ship from China it might take a few weeks to get to you, but shipping is free and I promise you it's worth it for the price and selection. 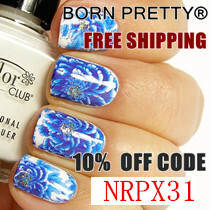 If you do decide to pick anything up then feel free to use my code (NRPX31) to get 10% off! These are so cute but edgy at the same time. I really like how this turned out too. I need to get back into stamping asap! Thanks! Yeah, I really love them! I forget how easy stamping is, you should totally get back into it!! 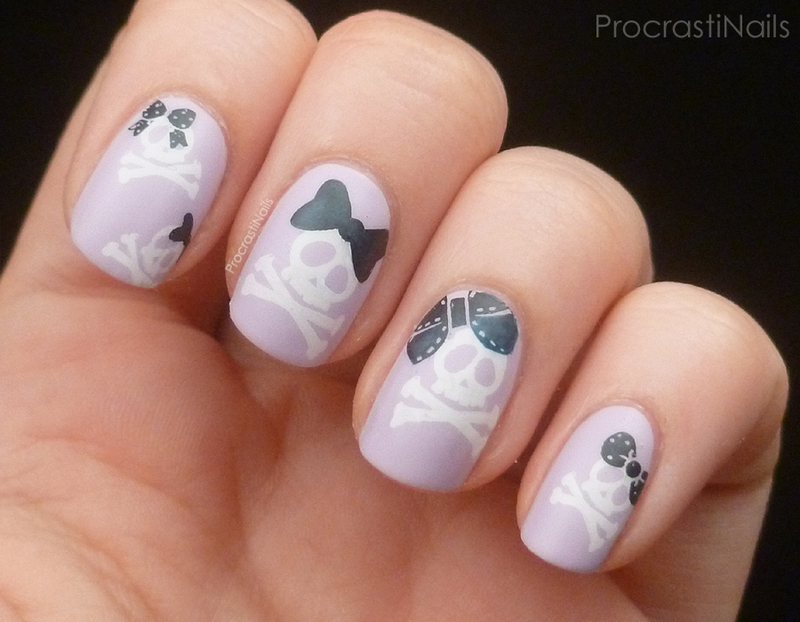 The little bows are adorable! I might need to pick up that lavender polish, I'm loving pastels at the moment! wonderful designs !I like it so much!